Mumbai: In a bid to provide a healthy life to diabetic patients, a new sweetener made of herbs was launched here. Zero Sugar — made out of natural sweetener Stevia — enables the patient to tackle obesity and satiate his sugar cravings also. 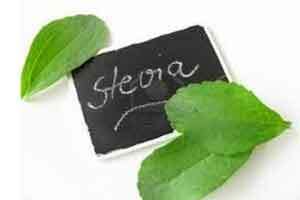 Stevia is extracted from the leaves of the plant species Stevia rebaudiana. “There is no nutritive value in sugar and when consumed in excess, one is likely to be prone to life threatening ailments. After lots of research Zero Sugar has been formed with herbal base,” said Kanchan Patwardhan, Mumbai-based clinical nutritionist and dietician, at the launch. India is home to nearly 62 million diabetics – second only to China which has over 92 million diabetics. A majority of diabetics are unable to keep their sugar level under control despite adequate medication and follow ups. Patwardhan said Zero Sugar is a better solution because, being 200 times sweeter than sugar, it is the best sugar replacement. According to medical science, eating sugar in excess sets up a relentless biochemical drive in the brain that in turn makes the person crave for more sugar, resulting in weight gain and diabetes. “Being free from carbohydrates, it neither affects blood sugar nor insulin levels. It can be a good alternative for our regular sugar as well as for those who love to eat sweets but still want to be in shape. A gram of sugar contains about 4 calories. In contrast to this, Stevia has no calories,” said Patwardhan. “There are a few natural sweeteners which can regain that lost taste to your sweet foods. One of these is Stevia, a sweetener that is 100 percent natural and zero calories with a number of health benefits that have been confirmed by scientific studies,” said Dilip Joshi, managing director and chief executive officer of GreenRev, the makers of Zero Sugar. By 2030, India’s diabetes numbers are expected to cross the 100 million mark according to a 2012 report by International Diabetes Federation. The economic burden due to diabetes in India is among the highest in the world.